What's Ahead for Electronics Manufacturing? Sanmina is a tier 1 electronics contract manufacturer that has been producing complex technology products for many of the world's largest brands for several decades. With more than 200 customers, the company was an early adopter of automation, data analytics and the cloud to accommodate the changing global manufacturing landscape. Below is a unique view into what the future holds for manufacturing as noted in the following 2019 key trends from Sanmina. Manufacturing automation will accelerate - but only for certain types of products. Deployment of fully automated ‘lights out' production lines, as well as ‘co-bots,' robots that collaborate with workers on certain tasks, will continue to grow. Yet, contrary to recent hype about robotics replacing most human workers, the manufacturing of extremely complex, low volume products will remain in the hands of skilled operators. Regulatory scrutiny will drive the deployment of technology to improve quality in the factory. As adoption of Class II and III medical devices increases to improve the quality of life for patients, so too have FDA regulations to ensure the safest possible manufacturing methods. New machine-to-machine (M2M) communications and cloud technology are helping quality teams create ‘forced quality networks,' preventing some of the most common causes of manufacturing errors and ensuring compliance. If an issue is uncovered later, these new technologies are also being used to quickly isolate products that must be recalled. IoT Adoption in the factory will increase, driving significant cost, quality and production efficiencies, along with new applications for analytics. Executives are under growing pressure to design global supply chains that can accommodate changing tariffs, regulatory requirements and supply chain disruptions. Over the past few years, ‘real world' implementations of manufacturing IoT and data analytics have started to provide real value to the enterprise - enabling executives to know exactly what's happening in their factories in real time and from any location to avoid factory downtime. An uptick in 3D printing deployments will continue to reduce the time required for product development and speed time to market. While the production deployment of 3D printing has limited applications, many companies have adopted 3D printing for product development, significantly improving time to market. For several products in development at Sanmina, design changes of key mechanical components can be evaluated in prototypes, the same day. 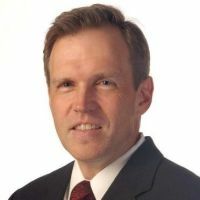 Gelston Howell is a 20-year veteran in the electronics manufacturing industry and SVP at Sanmina.